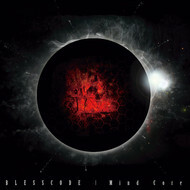 When I heard Blesscode’s new album was out, I remembered I liked the sound I listened to on their homepage earlier, so this is with a certain curiosity that I tried “Mind Core”, released on March 25th. The album starts with “再生” (Saisei), a nice introduction with some piano, giving a pop atmosphere, which is shattered away with“Beautiful World”, a simple rock track but efficient thanks to the chorus in which masaya’s voice shows some skills even if it could have been better. It can be fixed with more work I think and it promises some good things for the future. This track is followed by “Judgement”, with a dynamic drum beat from ken and guitar line. The song is interesting with its English words whispered in the bridges, but I’m waiting more to be really surprised. “インモラル” (Immoral) starts with a very nice guitar line, but the verse sounds similar to the previous song. However, the chorus is very interesting and almost addictive. I really like the work they did with guitar in this track because this is the kind of line you will remember and remember the track thanks to it, and the voice is better placed here. “Lucid” is probably the song I prefered the most in this album as it has the most musicality. It is not linear so you have dynamic verses, soft bridge, and beautiful chorus as well as a good short guitar solo. The album ends with “white”, a soft rock track in which the voice is a bit covered by the too strong drum beat but it’s better in the sweet chorus so we can enjoy it better. I’m not very fond of sweet and slower songs, but this one is nice and gets interesting around its middle. BLESSCODE is an interesting group, that can become bigger with a very little point of work in addition. I’m sure they have something that can be developed into something awesome. Don’t hesitate to check their music!